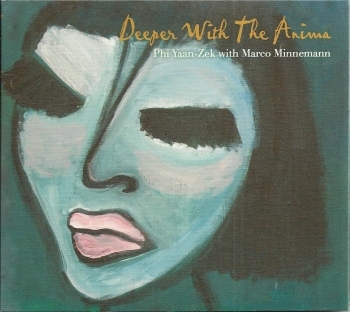 Af first, Phi Yaan-Zek's contribution to Marco Minnemann's "Normalizer" project resulted in "Dance With The Anima". Shortly thereafter however, Phi Yaan-Zek said that he would release a sequel / companion to "Dance With The Anima". So here's "Deeper With The Anima", and I like it a lot. The album presents 14 tracks. Most of the tracks are instumental, speedy and polyrhythmic rock music. The kind that I like. There are a couple of tunes that, in my opinion, don't fit the rest of the album that well. 'Corazones En Fuego' for exeample. But in all, this is a very fine record. Dub rhythm, spacy keyboards and fine melodies. I hear a lot of Zappa and of Steve Vai in Phi Yaan-Zek's music. I like it a lot.